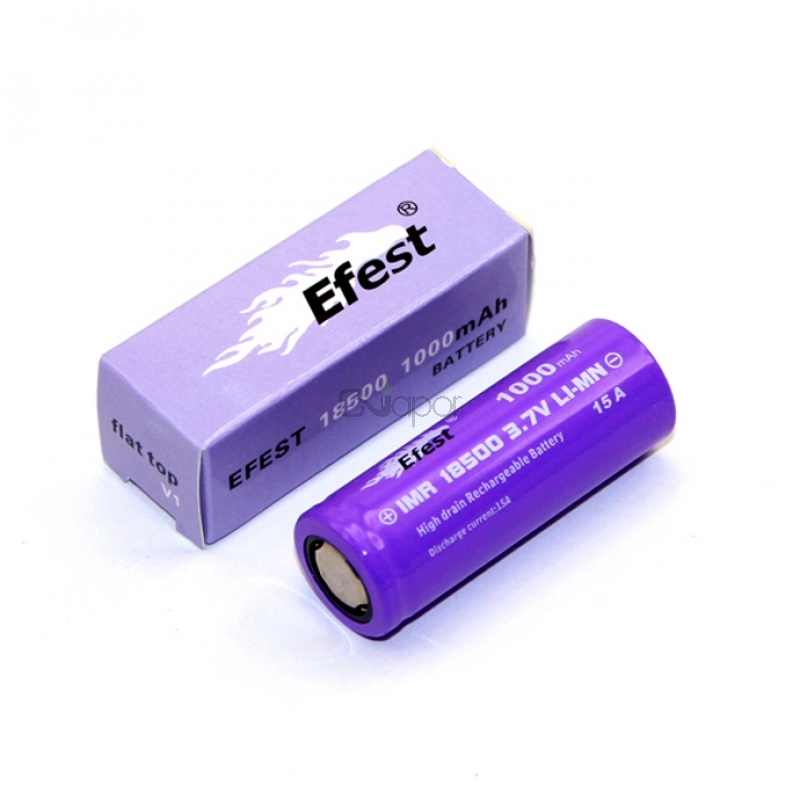 This 15A 18500 1000mah high drain rechargeable battery with flat top from Efest has a meduim size and tiny body which make it easier for the battery to fit with most mods. Before you use this battery, please check out the information below carfully in case some safty risk. 1. 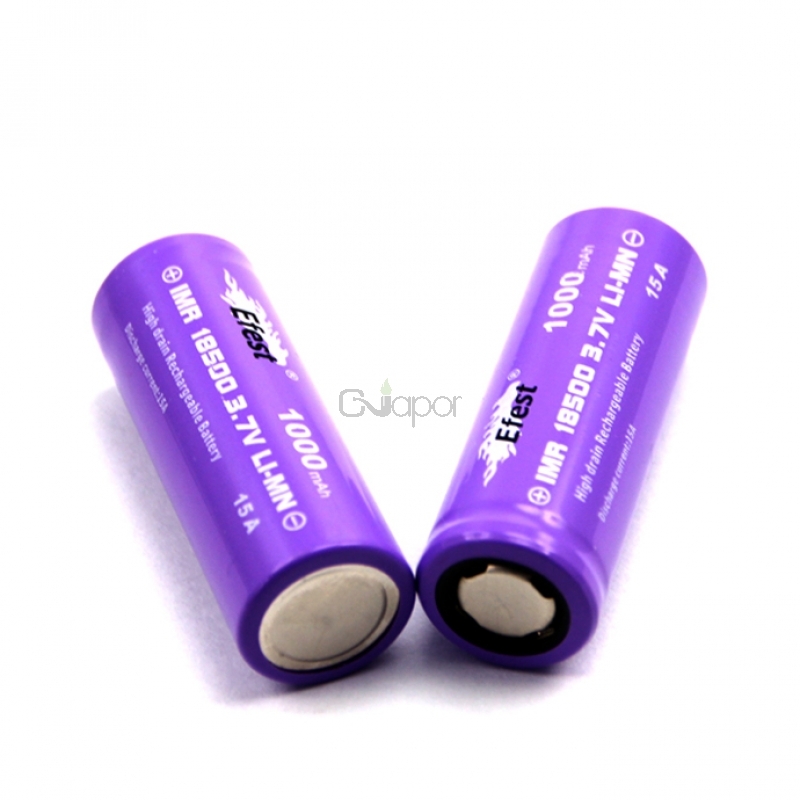 Safe chemistry LiMN battery with less risk of venting with flame or explosion. 2. 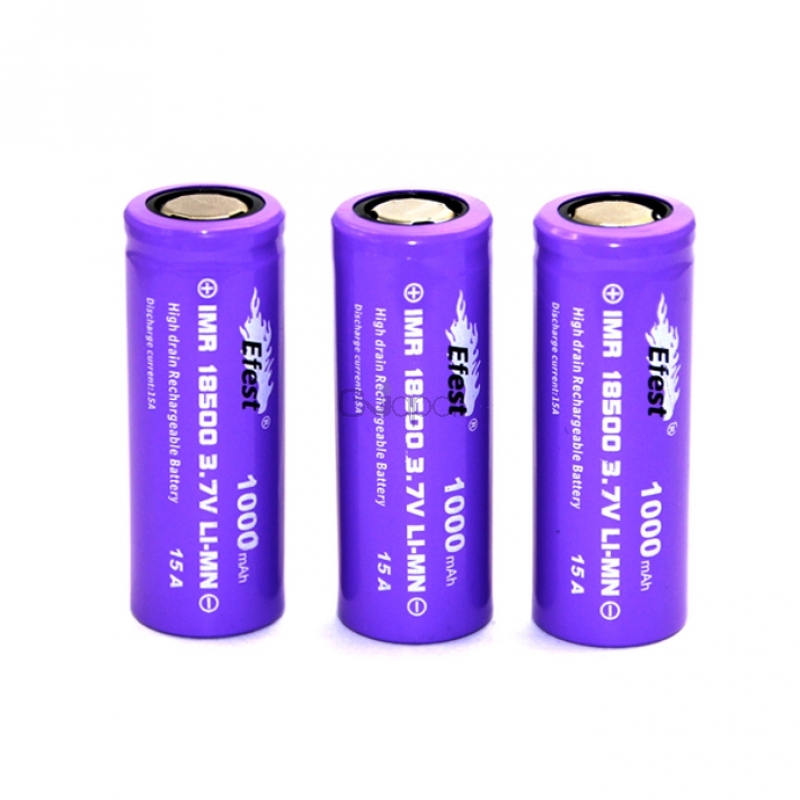 No protection circuitry added or built in due to inherent safty in the IMR battery. 3. Shorter battery length fitting in most mods. 4. 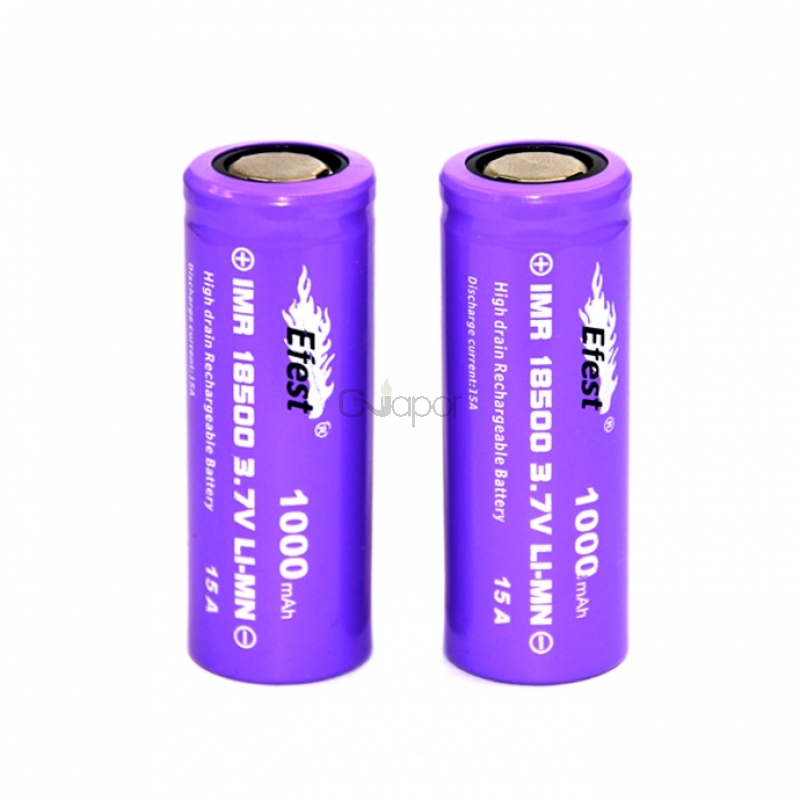 Discharge below 2.5V is not recommended for long service life for the battery.